Two Salvation Army (SA) workers were driving the SA outreach van on Riverside Drive on a cold Saturday night last December on the off-chance they could offer transport and shelter to any errant, homeless folks in distress. 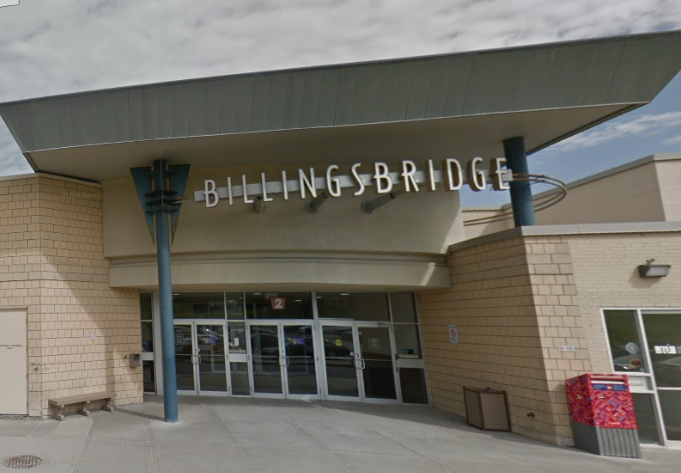 Linda and Troy came across a youth, 15, passed out, and propped up against the Billings Bridge Shopping Centre. It was minus 9 degrees, on a wintery Dec. 22 night. It was about 10:30. It had been a slow Saturday night. Linda and Troy were about to take a dinner break at the half-way point of their night shift that fateful night. Instead, they decided to take a spin around the shopping centre before going for a hot meal. 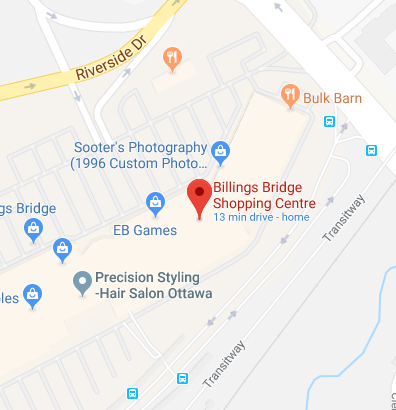 So the Ottawa Booth Centre staffers pulled into the shopping centre looking for any nooks and crannies, near the shopping centre and the adjacent OC-Transpo transit way, where solitary, homeless souls seeking peace and seclusion could possibly curl up. Linda used to live in the neighborhood and was familiar with the layout. She recalls she was at the wheel of the van, driving around the perimeter of the shopping centre service road. Troy, in the passenger seat, was looking out on the right side of the road. From a distance, Linda spotted what looked like a person, who was not at all secluded, indeed out in the open, propped up against the wall of the shopping centre next to the Number 2 entry to the building. The pair approached. They had indeed come upon an immobile person, wearing summer clothing of jogging pants, a hoodie, nylon jacket, running shoes and a baseball cap. He seemed intoxicated and was incapable of speaking or providing his name. They could not rouse him. He had frozen spittle and vomit around his mouth and on his summer jacket. He looked like a high school student who lost his way home from a school party. Considering the gravity of the youth’s condition, the workmates alerted the authorities to the youth’s condition and location. Two EMS paramedics in an ambulance, and two City of Ottawa police officers in their patrol cars, soon arrived. The youth was speedily taken off to the Children's Hospital of Eastern Ontario (CHEO). “If no one had come along he would have died. You saved his life.” Marc-André Deschamps, of the Ottawa Paramedic Service, said in a recent interview that the youth was indeed inebriated, which worsens the effects of exposure. “He was very cold when the medics arrived, but not yet hypothermic.” “A few hours more (in the cold), he would have developed frostbite, then hypothermia and eventually even death.” “I hope he learned his lesson,” said Mr. Deschamps. Linda does not even know the name of the youth she and Troy saved. She recalls one of the paramedics said he was 15. She remembers he had a slight build, about five feet, five inches tall; shorter than Linda. She assumes the youth recovered from the ordeal, as she has not been contacted by the authorities since the event. She said she felt uplifted, after helping save the youth, with a sense of purpose. “When he woke up the next morning (at CHEO), he must have felt lucky to be alive,” she mused. His survival that night was a “fluke,” Linda concluded. Summer: - 11:00 a.m. to 7:00 p.m. & 7:00 p.m. to 3:00 a.m.
Linda recently left her part-time job at the Salvation Army’s Ottawa Booth Centre to take on a position of support worker at the John Howard Society’s Rita Thompson Residence in Vanier. She remains a casual worker for the Salvation Army Street Outreach team. Troy is working the van with a new outreach partner these days. Zach spent the first 10 years of his adult life drinking excessively, partying and driving while impaired. He began consuming alcohol when was a young teenager. He racked up several convictions in youth court before he became an adult. Zach’s string of problems ended in the fall of 2013. That’s when he reached out to the folks running the Anchorage addiction treatment program at the Salvation Army’s Ottawa Booth Centre. He engaged in a recovery program that would culminate in a turn-around of considerable magnitude. Before Zach’s epic turn-around, life for him was a rocky, winding road. 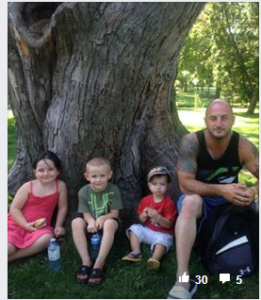 He was pulled over on Carling Ave., near Cole Ave. on August 28 2013, by the Ottawa police. They charged him with drunk driving, the fourth time in as many years. He was denied bail and spent the next three months in the dreaded Ottawa-Carleton Detention Centre (OCDC). During that time, Zach, 33, devised and implemented what amounted to a faint hope strategy. His first step was to contact the Salvation Army in the fall of 2013 asking to be admitted to the Anchorage rehabilitation program. He had never attended an alcohol treatment centre. It was his last hope. The walls were closing in on Zach. He would lose joint-custody of his son and daughter, then 2 and 4, if his unlikely strategy failed. It all depended on the longshot that a sympathetic judge would grant him his appeal for bail despite his several drinking-and-driving convictions and give him permission to attend the Salvation Army’s four-month Anchorage treatment program. Rylee, 8, if he was refused bail. Zach’s mother, Vicki Charlery, then followed Zach to the stand. The prosecutor also had disparaging words for the OBC, saying its Anchorage location in the middle of a district of 17 bars, was an invitation for clients to fall off the wagon. Judge Beaudoin rejected that slur, saying the OBC had chosen the location to be close by to its clientele. Thanks to the Salvation Army, and his long-suffering mother, Zach’s long-shot came true. Judge Beaudoin agreed to give Zach a last chance. Later that day (Nov. 4) the judge granted Zach bail and permission to attend the Salvation Army’s Anchorage treatment program. The judge curtly brushed Zach’s thank you aside: “Don’t thank me,” the judge said. He warned Zach that if he “betrays” his promises to Anchorage and the court, “we will be seeing a lot more of each other,” predicting that if Zach were to run afoul of his bail conditions, he would wind up becoming a frequent visitor to the judge’s courtroom – in handcuffs. Among his reasons for granting him bail, the judge said Zach had been in and out of jail since he was 13, and imprisonment did not seem to have done Zach much good. So Judge Beaudoin imposed what he called “airtight” conditions on Zach to prevent him from fleeing Anchorage and succumbing to the temptations of drinking in the nearby ByWard Market. Zach began his treatment program three days later on Nov. 7, 2013. 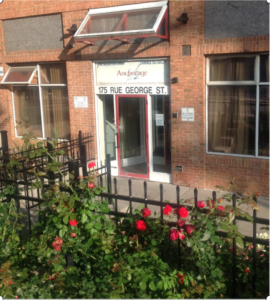 The Anchorage facility is on George Street, next door to the Salvation Army’s homeless shelter. Zach recalls that at first, he was shocked by the run-down appearance of many of the shelter dwellers. He almost fled back to prison. He heeded his mother though, who told him to abide by his commitment to the court and to the Salvation Army. Zach agreed and proceeded with the program. “I liked the cognitive behavioral therapy,” he said in an interview. Cognitive therapy, according to Wikipedia, aims to change people’s unhelpful thoughts, beliefs, attitudes and behaviours. It helps develop personal coping strategies that target solving personal problems. “Hearing other people’s stories is a big thing, knowing that other people make major changes in their lives. Some people live in a place like that helping other people that are in the same predicament” as the counselors had once been in. "Yoiu don't want to fail," he added. Zach’s rehab lasted four months. On every one of those 16 weekends Zach’s mother logged considerable mileage. She picked up her grandchildren and drove one hour from her home in Lanark to Anchorage to fetch Zach. She then turned around and drove another hour back to her home in Lanark, where the four spent their weekends together. She reversed the drill on Sundays. Zach completed his rehab treatment with success at Anchorage and was discharged on March 7, 2014. 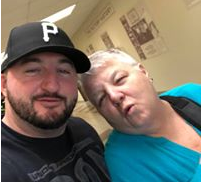 Ms. Holts observed that: “One of the largest motivating factors in Mr. Scott-Pershaw’s recovery has been his two children, whom he has taken a weekend pass each (of 16) weekend(s) in program to care for. With his recovery in place, Zach then turned to his next priority: the criminal charges still pending against him, for the drunk driving offence in Ottawa. He was ready to serve his time. Three days after his release from Anchorage, on March 10, Zach appeared before Ontario Court Justice Ann Alder. She sentenced him to 90 days in prison, to be served on weekends. Judge Alder convicted him of driving with more than .08 milligrams of alcohol in his blood, and driving while his license was under suspension. She also prohibited Zach from driving for 10 years. “I spent the weekends in jail (at the OCDC) at Innes Road. I went in Friday night and got out on Monday morning,” Zach recalls. Zach finished serving his sentence in May 2014. Next up on his agenda: Finding work. 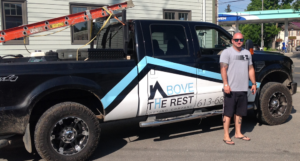 His firm is called Above the Rest roofing company in Perth, where Zach has 13 employees. 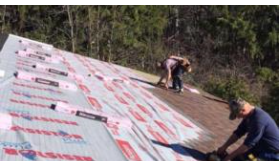 Zach often deploys the workers in Ottawa, where they do sub-contracting for larger Ottawa roofers. Life is becoming settled for Zach and his children. “I have two of my kids full-time now.” Indeed, Zach now has custody of Tulli, 7; and Rylee, 8. He shares the custody of his youngest child, Jaydan, 4. Zach lives in Perth, 85 kilometres southwest of Ottawa, and assists other alcoholics in their struggles. He also gives inspirational talks every four months at the Anchorage facility in Ottawa to men attending a similar rehab program to the one he took five years ago, where his recovery began. “One of the most important parts of my recovery is going back and speaking. I do that to help people because it was a huge part of what helped me and it’s a reminder, “Zach said in a recent exchange. That sort of behaviour went on for years, Zach said. He began drinking to excess when he was 14 or 15. From age 17 to 28 age he was a constant heavy drinker. Zach willingly accepts congratulations for attending and passing the Anchorage program and turning his life around. But he is quick to remind an interviewer of the key role of Judge Beaudoin in his recovery, in dismissing the prosecutor’s objections to Zach attending the Salvation Army’s rehabilitation program. Zach pauses and thinks for a moment before uttering the following words. This article was written by Roderick Macdonell, the Salvation Army’s administrative support to program. The court testimony reported in this article was drawn from a CD obtained from the court services department of Ottawa’s Elgin Street Courthouse. 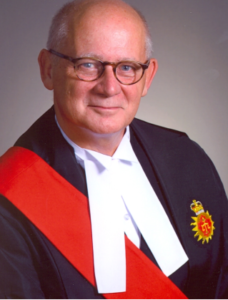 The judge, Ontario Court Justice Robert Beaudoin, gave his written permission that the CD be prepared for the Salvation Army. Army’s Anchorage treatment centre with Rhoda Bridgman. 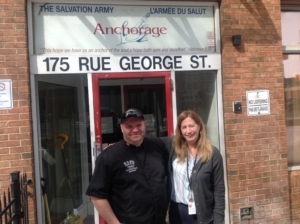 Jay Barnard, best known as Chef Recovery, recently returned to the scene of his redemption, the Ottawa Booth Centre. He came to thank the Salvation Army for his recovery and to humbly celebrate 10 years of sobriety. During his 10-year transformation, Jay went from an alcoholic/drug addict/ criminal, to an Executive chef and fish-processing plant owner who has cooked for the likes of Leonardo DiCaprio, Wayne Gretzky, Neil Young, Snoop Dog and William Shatner (of Star Trek fame). Chef Jay, now 37, feted his visit to the Booth Centre on March 20 by rolling up his sleeves and preparing a meal of breaded Walleye fingers with coleslaw and a potato hash. His guests numbered about 20. They included the kitchen staff and the Salvation Army’s management team. Jay brought the Walleye fish in a cooler by plane from his native Kenora. There he owns the Chef Recovery catering firm and the Freshwater Cuisine fish processing plant. The company is renowned for its Walleye Wings. He purchases its wild-caught freshwater fish from 73 independent First Nations fishermen in the region. Thinking back to 10 years ago, Jay vividly remembers checking into the Anchorage Addiction Recovery Program on Feb. 11, 2008. His alcohol and drug-addled life was way out of orbit. There began his 5-1/2 month stint in rehabilitation that he says saved his life, and sent him on a path to a destiny that few people would have predicted possible or anywhere within Jay’s reach. Jay shared his motivational tale of cross-addiction and recovery with about two dozen current clients of the Anchorage program and almost as many Salvation Army staffers. His journey of hope is composed of considerable misery and a gritty, often-times nightmarish return to sanity and relative stability. “I never gave up on life,” he recalls. Jay, who is soft spoken, but occasionally lets out a yelp of joy, recounted how he began drinking before he was even a teenager. He was smoking marijuana heavily at 12. At 14 he was selling marijuana at school. He was expelled from high school at 18. By then he was hooked on cocaine and crack. From there he took off on a nine-year protracted spree, mostly in Northern Ontario, committing thefts, assaults, motor-vehicle offences and more drug deals. He also served a number of jail terms including at the Penetanguishene jail in Simcoe County, a place feared for its violence. Jay was more than ready for a change when he was released from that notoriously dreaded jail. But what to do with his rapidly-wasting life, he asked himself? How could he regain control and get on track? 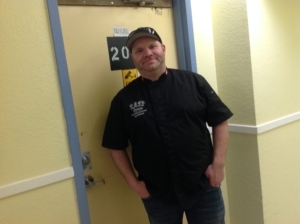 Somehow he found his way to the Kenora community college, where he signed up for a four-month cooking program. Why not? Jay had always enjoyed eating. Food was his first addiction. 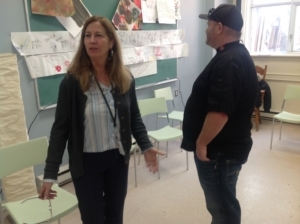 It was then that Jay fatefully met a rehab worker who spoke highly to him about the Salvation Army’s Anchorage Addiction Recovery program in Ottawa. She urged him to attend, but she also predicted he would not make it. He recalls that he came to Anchorage with a chip on his shoulder, a big one, blaming everyone but himself for the miserable state of his life. But worse, he found himself challenged and confronted by a no-nonsense counsellor who gave short-shrift to his self-pity. It was tough love. Whatever she said to him. It clicked. Seven months later, Jay moved across town to Ottawa’s Algonquin College. 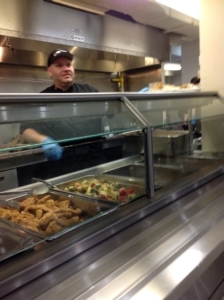 The meal he served at the Booth Centre lunchroom is called the Keep Coming Back Walleye Fingers. After those initial five years of sobriety, with a gathering breeze in his sails, he moved to Alberta’s Fort McMurray and took a course in Executive Chef Cuisine. That’s where he met and fed guests like Gretzky and DiCaprio, folks from the moneyed upper echelons of sport and entertainment. Rural Ontario Leaders Award for leaders who have boosted economic development while improving residents quality of life. Northwestern Ontario Visionary Award (NOVA) for his business acumen. Regional award for being among the province’s top 50 firms in Agri-Food Innovation. Back at the Salvation Army, Jay wrapped up this travelogue at the Booth Centre, telling the clients that he has settled in now and has become a family man. He and his wife, Julie, have a lovely young daughter, Destiny, 2-1/2 and another fine daughter, Shanyka, 16. Family is dear to Jay. His biological father, a nasty alcoholic, abandoned and disowned him when he was young. Jay paused for a moment as he delivered his final messages to the rehab clients. The room became silent. The audience then burst into loud applause for Jay; reminiscent of Johnny Cash’s memorable 1968 Folsom Prison Blues performance to an audience of inmates and guards. “I have a gift,” he told the treatment centre clients. “That gift is sharing.” He urged the Salvation Army clients to learn to share their stories, their experiences and knowledge with fellow clients struggling with recovery. It keeps them on the straight and narrow. “The Salvation Army helped me become the guy I am today,” he added, suggesting that they too could put their trust in the organization and its treatment program. As he wrapped up, he invited the clients to contact him whenever they feel the need, by text, email or phone, especially if they are struggling and about to slip off the wagon. His simple but powerful message was that if he could do it, turn his life around so dramatically, so can they. His phone number is on his web site. Jay told his audience of rehab clients that he speaks publicly whenever he is invited by groups of non-alcoholics and recovering addicts alike, as often as 20 times a year. It is his way of giving back. Ottawa artist Chi Wei Lee knows all too well the debilitating effects of homelessness and, through his art, he is embracing the opportunity to illustrate the significance of helping people find a home. Lee has created a painting that will hang in city hall to give hope to homeless people longing for their own places, while reminding politicians and public servants to help Ottawa’s less fortunate. The colourful keys on a blue background take up most of the painting, with some shaded keys on a white background, as if the keys gain their colour as they move onto the vibrant part of the canvass. The keys represent the security of opening a door to a home and winning back freedom. The city was celebrating its work finding homes for 297 people under the “housing first” initiative in its 10-year housing and homelessness plan. The city did better than its goal of housing 250 long-stay emergency shelter clients by December 2016. Lee, 54, said he’s been artistic his whole life. He moved from Malaysia to Toronto in 1982, attended York University, and relocated to Ottawa two years later, continuing his post-secondary studies at Carleton University. “I ended up at the Salvation Army about four years ago. I was having problems with dealing with my father’s death and I have been estranged from my family for awhile. I just fell into a depression I couldn’t get out of,” Lee said. A weekly two-hour art therapy class at the Salvation Army was the “most significant and important thing that happened to me in the last few years,” Lee said. Some of the artwork produced in the class became part of an annual show called Heard. Lee is now living in a rooming house, has a job cooking at a restaurant, but like many in this city, is “one paycheque away from being homeless.” He understands it’s a long process to regain stability. The city says about 6,825 people, including 1,479 kids, stayed in an emergency shelter at some point in 2015. According to Mike Bulthuis, executive director of the Alliance to End Homelessness, the total number of people staying in shelters increased last year, but the average length of stay dropped from 77 days to 73 days. “The impact is created by what we’re celebrating this morning,” Bulthuis said at the event. Bulthuis said there were more than 500 adults, the “chronically homeless,” who were in the shelter system for six months or more in 2015. The city’s goal is to reduce the average length of stay in an emergency shelter to 50 days by 2018, with an additional goal of cutting down the frequency of using motels for shelters. By 2024, the city wants to decrease the average shelter stay to 30 days. There are about 1,000 shelter beds in Ottawa and they are usually at or beyond capacity. The city rents motels when necessary, particularly for homeless families. Bulthuis said the city is investing resources in finding homes for adults, but it shouldn’t forget other groups, like families. The city should also do more to build new affordable units, he said. There is still a waiting list of about 10,000 people looking for affordable housing. “The challenge is we don’t direct our attention to one group of the population who is either homeless or at risk,” Bulthuis said. Mayor Jim Watson recently appointed Coun. Mark Taylor as council’s housing liaison. Taylor’s job will be to make sure the social services department, planning department and Ottawa Community Housing are on track with the city’s homelessness initiatives. Ron Ratcliffe was enjoying some music in his basement on Melette Crescent in Orléans on June 18 when he heard glass shattering, followed by a man shouting for him to get out of his house.“We got out and started looking around and I thought, ‘Holy s–t — this place is burning,’ ” Ratcliffe recalled.Three units just a few doors down from Ratcliffe’s were engulfed in flames that afternoon.While Ottawa Fire Services made quick work of the fire, Ratcliffe said it was the help from volunteers that stood out for him that day.“(The Salvation Army) had a truck parked outside and the guy came around and said, ‘Do you live here? Would you like a hamburger? Would you like a drink? Do you need a blanket? Do you need to go lie down?’“I couldn’t believe how they looked after us,” Ratcliffe said.The Salvation Army’s canteen services truck is manned by retired Ottawa firefighters who are on call 24-7 from the Ottawa Police Services and OFS whenever a disaster situation arises, said Craig Dunbar, emergency disaster services co-ordinator for the charity. Ron Ratcliffe, a Melette Crescent resident whose home was affected by the fire that engulfed three other units in the same row house on June 18, says he couldn’t believe how volunteers looked after those forced out of their homes that day. “We have a commercial coffee maker on it. It’s always stocked and ready to go to serve hot meals on very short notice,” said Dunbar, who was in Orléans that day helping out Ratcliffe and his neighbours. Other appliances include two stove burners, a grill, a microwave and a freezer chest and cupboards that are filled with plastic foam cups, plates and plastic cutlery. 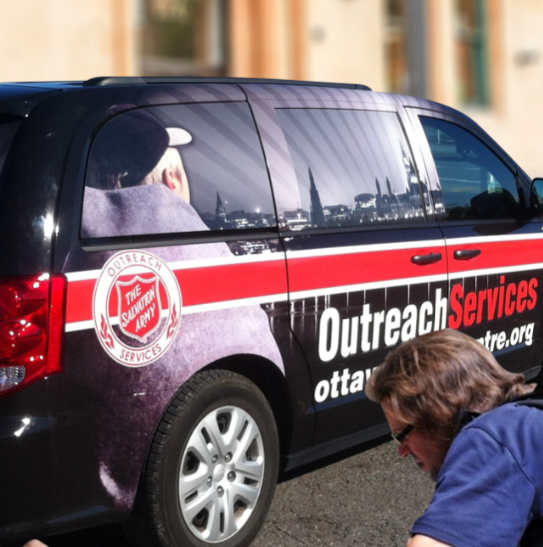 Another Salvation Army vehicle that was deployed to the Orléans fire was the victims services truck, which is a refitted ambulance donated by the City of Ottawa. “We carry clothing, teddy bears for kids, hygiene products, diapers, footwear and in the winter time we carry coats,” he said. The truck is also equipped with a television and DVD player to let children watch movies to get their minds off of traumatic events they might have experienced, he said. The scene after the fire in Orléans on Saturday, June 18, 2016. AIDAN COX / . Ratcliffe’s home was damaged by the smoke and he was not able to return home that evening, but the Red Cross set him up for a few nights at the Lord Elgin Hotel. “(The Red Cross) made all the arrangements for us to go to a hotel. They even took us to the hotel. It’s amazing,” he said. Ottawa Fire Services has maintained a strong and lengthy relationship with volunteer organizations, said Danielle Cardinal, information officer for the city’s emergency and protective services. “And the canteen is very helpful for our crews who are on-scene for extended periods of time. In the winter months, they appreciate a warm beverage and somewhere to warm up, and in the summer months they appreciate a cold beverage and somewhere to recover and refuel,” Cardinal said. Reflecting on the day of the fire, Ratcliffe said that he thinks the volunteers deserve a bit more recognition. “People should know that these people give their time to help out people that are in distress. I work part-time at Home Depot because I’m semi-retired and I’m even thinking of donating my time to them,” said Ratcliffe, who will be staying with a friend for the next six weeks. 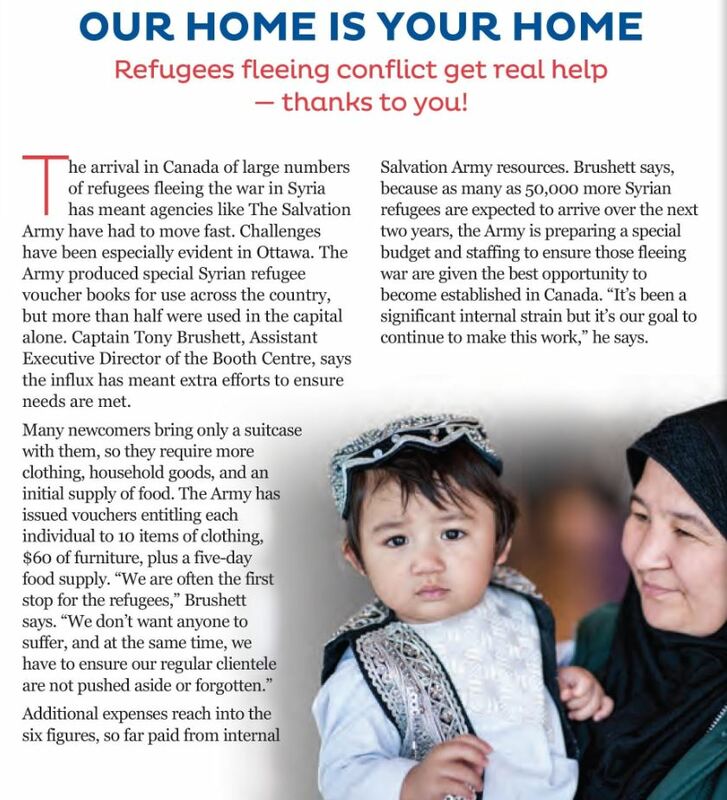 In March 2016, one long embrace ended a five-year separation among a group of Syrian newcomers seeking help at The Salvation Army’s Booth Centre in Ottawa. They were good friends from the same small community, but the last time they saw each other was in a refugee camp. Each family had assumed the other hadn’t made it out. The Salvation Army has provided practical assistance to many of Ottawa’s Government-assisted refugees. The first families to reach out to The Salvation Army for assistance requested items such as pillows, blankets, draperies, cutlery, pots and pans and cleaning supplies. They had beds, couches and tables, but very few household items or clothes. Before long The Salvation Army was providing food and thrift store vouchers to 60 families a day. The Salvation Army is continually looking for ways to better serve the newcomers. For example, Arabic signs provide direction and guidance to areas of assistance. Staff is learning Arabic words and sentences and a translator helps to alleviate the stress of communicating in a new language. The Salvation Army had quite the family dinner on Easter Sunday. More than 600 people were served a free, warm Easter meal by volunteers and staff at the Salvation Army Booth Centre in the Byward Market. Marc Provost, executive director of Salvation Army Ottawa, said the dinner is a great chance to open their doors to those in need in the city. “It’s like one extended family really. That’s how we look at them. Sometimes we know them fairly well and sometimes we don’t but that doesn’t really matter,” said Provost. “We’re always happy to have people coming to us because they know they’re not alone.” Marc said the dinner serves as a great introduction to people who might need their help in the future. “It’s a good way to meet people for the first time who we might be able to help further,” he said. “We have a lot of services that people may not know about and this is a good way to help them.” Noon, 3 p.m. and 5 p.m. meals were offered to anyone in need and several chapel services were also provided to those who were interested. “It was good, I got a cinnamon roll,” one man said with a smile on his face. Another man said it meant a lot to him to be able to come to the shelter to get a warm meal on the holiday. He said it’s the volunteers who make the dinner so enjoyable. “They’re taking time out of their family to give to us.” he said. With their own version of an extreme makeover, a Salvation Army program in Ottawa helps men feel good about themselves again. “Everybody deserves to feel worthy and is worthy of the help that’s out there,” says Eugene Schertzberg. Eugene was one of more than 80 clients of The Salvation Army Ottawa Booth Centre who attended the second annual Project Self-Esteem event this past November, part of its life-skills program. 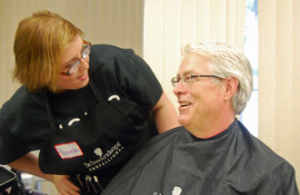 The program focuses on building self-confidence and job readiness by offering free haircuts, beard trims, a professional photo shoot, and education and employment information from local agencies. The 49-year-old father of three had two successful careers, one in the commercial-hardware business and the other in computers. But he found himself facing mental-health issues, including depression and anxiety. That, combined with alcoholism, kept him from being able to maintain stable employment, and it wasn’t long before he had to leave his home. With nowhere to go, he reached out for assistance at the Booth Centre, where he found a home and support. Eugene was encouraged to get involved in the life-skills program, which was developed by co-ordinator Kimberly Zapata in August 2013. Kim, along with activity assistant Drew Corley, helps men make positive changes in their lives. The life-skills program requires each participant to complete 16 lessons, which include building a positive image, conversation skills, forgiveness, stress and anger management, decision-making and goal-setting. “I’m working with the life-skills program and it’s giving me time to put things in order, such as looking for a place to live and setting weekly goals,” says Eugene. “They’ve been very helpful. For Eugene, his immediate goals include continuing to deal with mental-health issues, finding housing and completing the life-skills program before attempting to re-enter the workforce. “Difficult as it may be for me to be in a situation like this, I know I am not alone—The Salvation Army is here to help me,” he says. As it is for so many people in times of crisis, sharing his story wasn’t easy, but Eugene felt compelled to tell it. “I recognize that in society there are those who persecute and then there are those who assist people in need,” he says. “As a recipient of the caring that I couldn’t find in my everyday life, I need to share how important it is to me to be able to express the need for salvation in my spirit and mind. There is so much to say. Lisa Williams was heading home after a long day at work when the bus she was on abruptly braked a couple of blocks from where she lived. Around 10 a.m. on March 16, 2011, a fire broke out in the basement of a hard­ware store in Ottawa’s New Edinburgh neighbourhood. The fire spread to the adjacent businesses and the apart­ments above. Lisa was one of at least a dozen people who couldn’t return to their apartments. The firefighter directed her toward The Salvation Army, which had been on site since earlier in the day, assist­ing the victims and supporting the first responders. Retired firefighter volunteers were serving sandwiches and beef stew for dinner from The Salvation Army’s Bal­lard Truck, which is a mobile canteen. “It’s well appreciated by the responding firefighters, especially on hot summer days and cold win­ter nights. It’s a godsend,” says Bob Antonietti, a volunteer with Salvation Army Victims Services. Salvation Army Victims Services staff and volunteers were on site for 12 hours that day, providing emotional support and vouchers for clothing and furniture for those displaced by the fire. Former Salvation Army emergency disaster services director Theresa Antonietti says they helped 14 residents of the apartments. “We were just thankful to be in a position to give people back a little bit of hope they lost in the fire,” Bob reflects. Through the chaos, the noise and the clouds of smoke that were visible over half of the city, The Salvation Army greeted Lisa, who was still in shock. Lisa is from Georgetown, Ont., a small community just outside of Brampton, Ont. She was living on her own and didn’t have any family in Ottawa. The Red Cross put her up in a hotel for a few nights, and The Salva­tion Army provided her with vouchers for clothing and furniture. Firefighters battled the blaze for most of the day and into the night. A seniors’ residence in the area was also temporarily evacuated. The toxic smoke caused by chem­icals inside the hardware store billowed out onto the streets, prompt­ing a warning to area residents to stay indoors and keep their windows, doors and chimney flues closed. After two weeks, Lisa was able to return to her apartment to pick up a few belongings. Everything was cov­ered in black soot and the apartment doors had been kicked in by firefight­ers during the blaze. There was no security in place when she returned, the main door was unlocked and many of the former residences had their belongings stolen. Much of Lisa’s furni­ture was lost in the fire. “I didn’t have insur­ance, which wasn’t very smart, but I didn’t think I would ever need it,” she explains. Not everything could be replaced. Lisa lost a treasure chest of memories filled with pictures of her travels and sentimental things. The damage to her apartment was so extensive that all of the appliances had to be replaced and it would not be ready for five months. She decided to search for a new place. The fire was not Lisa’s first encounter with The Salvation Army. She remem­bers her father volunteering with the Army’s Christmas Kettle Campaign and her family delivering food ham­pers in Georgetown. “I never knew there were people in need in my area,” she recalls. “Now, when I donate to The Salvation Army through my workplace, it’s because I like what they do. They have such a wide range of services. Tony has reason to be grateful. There was a time when he lived in a downtown Ottawa park with no possessions save a sleeping bag. But his life took a turn for the better after receiving help from The Salvation Army. 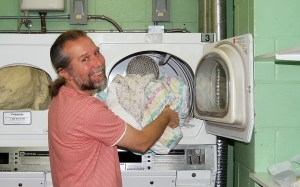 In return, Tony has dedicated 26 years of his life giving back by volunteering his time helping with the laundry at The Ottawa Booth Centre. Tony was first guided toward The Salvation Army’s Ottawa Booth Centre after being arrested in February 1986. But his story begins back in 1980 when he was diagnosed with Lupus. Tony’s illness kept him from being able to hold down his full-time position at a large Ottawa department store, and within a few months he had to give up his apartment near downtown Ottawa. At the time Tony didn’t know much about social and disability assistance and admits to having been a bit too proud to ask for help. He found himself sleeping in a park and when the first storm hit, he went to a police station where he asked to stay in a holding cell for the night to get out of the rain. “I had my sleeping bag with me and they asked for my shoelaces. I said, ‘Why do you want them?’ The officer answered, ‘In case you want to hang yourself.’ I replied, ‘I came in so I wouldn’t catch pneumonia. Does that sound like I want to hang myself?’ ” Tony laughs. From there, Tony moved around from one rooming house to the next. “It was a very bad area at the time,” Tony explains. “I’d had no experience with drugs and I found myself living in a notorious crack house without even knowing it,” Tony explains. After months of trouble with the people living in the building, one night some of the men started punching holes in the adjoining walls, causing extensive damage. When the police arrived, everyone ran away except Tony. This is when the judge directed Tony to The Salvation Army’s Booth Centre, a men’s shelter that helps those in need and also accommodates those with chronic illnesses who cannot live alone. Tony was given a private room at The Salvation Army where he lived for the next 16 years. He worked in the Ottawa Booth Centre kitchen for a time to help cover the costs of his meals and then he worked in the laundry. When the special care unit was introduced at The Ottawa Booth Centre in 2002, The Salvation Army in partnership with the City of Ottawa helped Tony move into his own apartment as he was able to live independently. But every Monday to Friday, Tony returns to Booth, to spend about six hours a day volunteering his time doing laundry at The Salvation Army. “I come back here every day because it’s something to do and I need structure in my life,” said Tony. Tony takes pride in his work and opens a closet of neatly folded sheets. “They have to be folded like they are ready to be packaged. It took a couple of weeks to teach me how and now I do it the right way. I smile when I see others still doing it the way I did when I started,” he smiles. 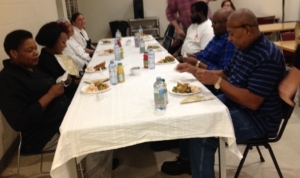 Tony continues to rely on dinner at The Ottawa Booth Centre every day. “I am always amazed at the food they offer here. If I am home alone I don’t make a dessert and a soup and I don’t know what to do with vegetables. This is a Sunday dinner for me every day of the week,” he beams. Tony explains he’s going to keep on volunteering at The Ottawa Booth Centre for as long as he is able. 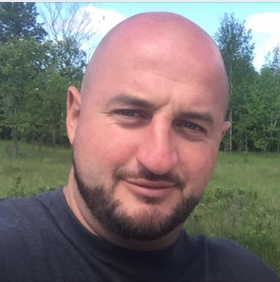 For Shawn, an Army addictions program was there when he needed it the most. “If you had told me four years ago that I’d be sitting here talking about God, I probably would have hit you,” declares Shawn. After 20 years of being involved in organized crime, dealing with drug addiction and hurting the people around him, Shawn got sober, connected with The Salvation Army and now dreams of having a career where he can help others. Shawn grew up in the Ottawa area and suffered physical and sexual abuse as a child. He gravitated to drugs and alcohol at the age of 13, and by 14, he was selling drugs. “Some people can go through life without too many visible signs of the abuse they have suffered, but it’s always there inside,” says Shawn. “You think you’re secure, but, really, you’re not. That was in 2010 when Shawn found himself in jail on 30 charges related to domestic violence, weapons, stolen property, drugs and assaults. He was also addicted to cocaine and opiates. But while he was in jail, he experienced a life-changing moment. Someone in the next cell heard him and handed Shawn a book by a Christian motivational speaker. While in prison, Shawn participated in therapy and a treatment program and, upon release, took part in The Salvation Army’s Anchorage Addictions Program in Ottawa. After graduating from the program, he moved to The Salvation Army Transitional House in August 2012. 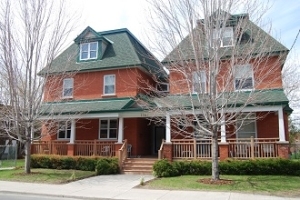 An extension of the Ottawa Booth Centre men’s shelter, the facility provides minimum support housing for up to 16 single adult men with limited resources and income as they make the transition to independent living situations. Here, Shawn continues to receive the support he needs before taking that next step. “I’m going to say this from the heart,” states Shawn. “I have never experienced the same kind of support, kindness and thoughtfulness that I have received through The Salvation Army. On New Year’s Day 2014, Shawn suffered a terrible loss when his mother suddenly passed away. Despite everything, he had always been close to her, and she’d always been loving and supportive. Shawn had a second powerful moment in his life during a phone call with his mother, just six months before she passed away. Even through his grief, Shawn stayed clean and sober. Now, he speaks to men going through the Anchorage Addictions Program about how change is possible. Transitional House director Steve Ridgley says Shawn takes a leadership role, not just at the house but with others who are struggling. Shawn also regularly goes downtown and talks to those on the streets who are hurting. “I get offended when I hear somebody say something negative about homeless people,” he says. “They’re no different than us. We don’t know what struggles and pain they’ve been through. Tomorrow, that could be us. Today, Shawn often attends services at the Booth Centre chapel. As for the future, Shawn wants to go to college to become a social-service worker, as well as be a good role model for his daughter.